Preheat oven to 180C/gas 4. Line a 12 hole muffin tin with paper cases. Sift the flour with the baking powder, bicarbonate of soda and salt, then set aside. Cream the butter and sugar until light and fluffy. Add the egg, yoghurt and vanilla extract, blend until smooth. Add the flour, then fold in the rhubarb. Spoon the mixture into the cases and bake for 20 – 25 minutes. Leave to cool in the tin for 5 minutes then transfer to a wire rack to cool completely. When the cakes are cool cut a cone out of the top of each one and fill the hole with custard. Next make the compote. Put the rhubarb in a saucepan with the sugar. Stir over a high heat until it comes to a simmer, then cover with a lid, bring to a boil and cook without stirring for a further 2 minutes. Remove from the heat and leave to cool. For the frosting, cream the butter until soft. Gradually add the icing sugar and cream together until smooth, then add the vanilla extract. 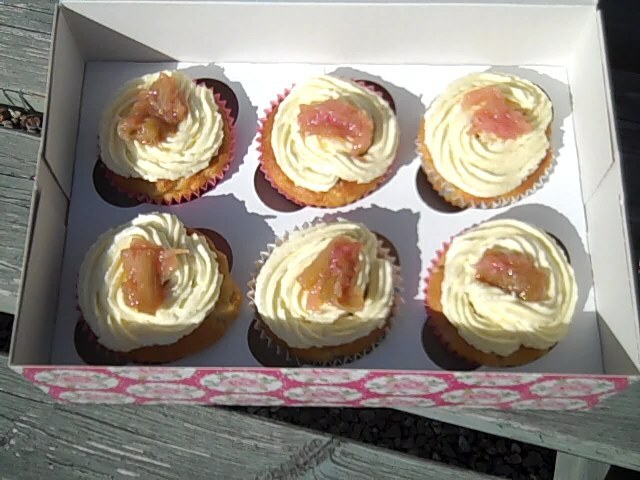 Frost the cupcakes with a palette knife or piping bag then garnish with a little rhubarb compote. Enjoy with your sister (or whoever) along with a nice cuppa. 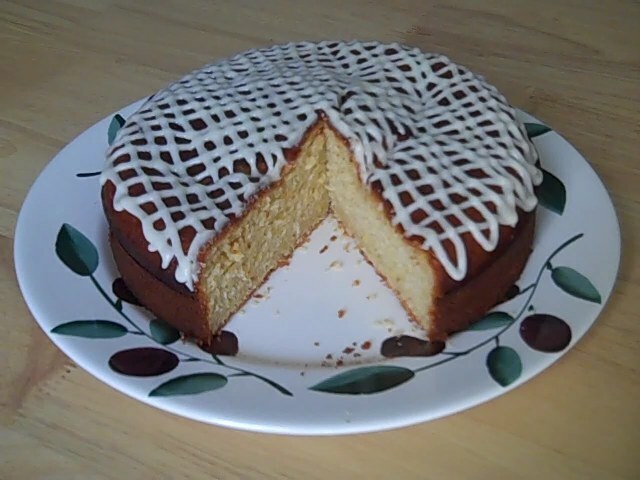 This is a great recipe as you can change it into a lemon drizzle, or coffee cake if you like. You can also use plain whole-milk yogurt, vanilla yogurt or buttermilk. You can even throw a handful of bluberries in there if you like. I like to use olive oil but if you prefer vegetable oil that would work just as well. Preheat oven to 175/gas 4. Grease a springform pan. In a medium bowl combine the flour, baking powder and salt. If using blueberries, place them in a small bowl and toss with 1 teaspoon of the flour mixture. Set aside. In another medium bowl combine the buttermilk or yoghurt, sugar, eggs, olive oil, orange extract and zest. Mix well, then add to dry ingredients. Mix until you can’t see any clumps of dry flour. Pour batter into prepared pan and sprinkle blueberries on top if you’re using them. Bake for 45-55min, until the cake is golden brown and the sides begin to pull away from the pan. Let cool for 5 minutes before turning out onto a rack to finish cooling. These are lovely, sweet and tangy at the same time. Preheat the oven to 180C/gas mark 4. Line a 12 hole muffin tin with paper cases. Beat the butter and sugar until light and fluffy. Beat in the eggs, lemon zest and vanilla. Sift in the flour and baking powder, then gently fold into the mixture along with the yoghurt until well combined. Divide the mixture between the paper cases and bake for 20-25 minutes until springy to the touch. Cool in the tin for 5 minutes before placing on a wire rack to cool completely. Beat the butter in a bowl until soft. Sift in the icing sugar and beat until smooth and creamy. Beat in the lemon curd until well blended. Spoon the frosting into a piping bag fitted with a plain nozzle, then pipe the frosting in swirls on top of the cakes. 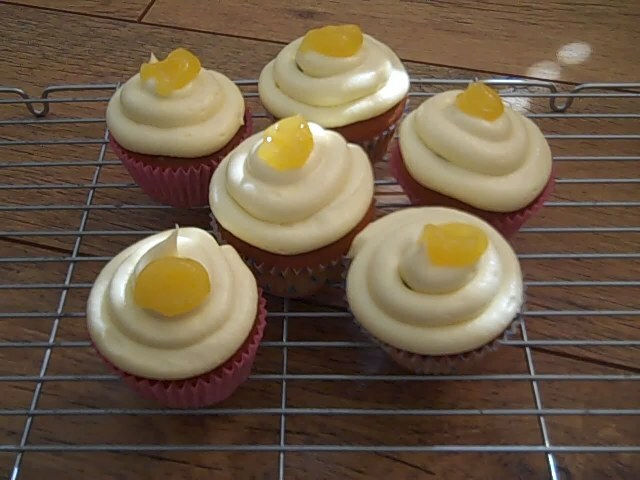 Place a small amount of lemon curd on top of the frosting to finish. Sift the flour, baking powder and bicarbonate of soda into a mixing bowl, then stir in the coconut. Lightly whisk together the egg, sugar, oil, yoghurt and Amaretto. Gently stir into the flour mixture until just combined. Spoon the mixture into cakes cases and bake for 25 minutes until golden and risen. Leave to cool in the tin for 10 minutes, then transfer to a wire rack to cool completely. Sift the icing sugar into a bowl and add the Amaretto until the mixture is the consistency of thin cream. 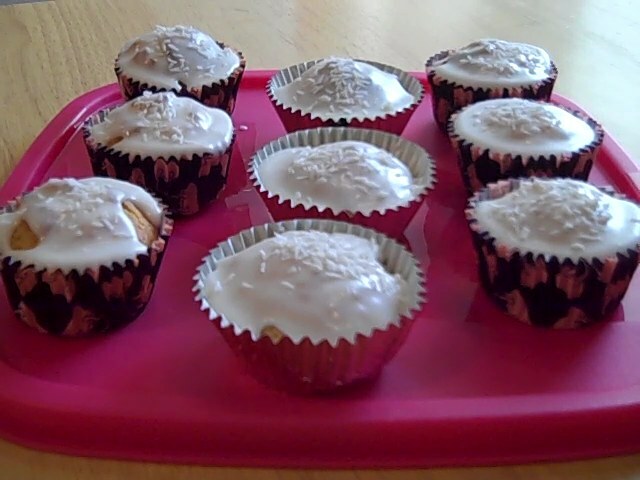 Spread on top of each cake, immediately sprinkle with coconut and leave to set. This cake makes a great “grown up” chocolate cake, with the cinnamon giving a slightly more sophisticated taste. 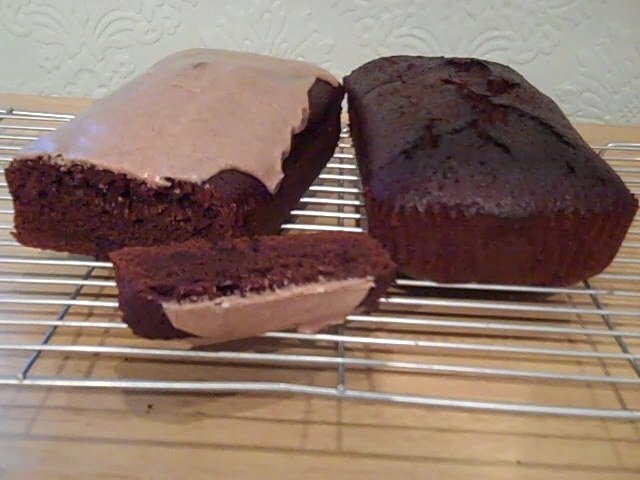 It doesn’t matter if it’s slightly undercooked as it goes lovely and Fudgy in the middle. Grease either 2 loaf tins or a large bundt tin. Put the butter, water, oil, and cocoa powder in a medium saucepan and heat to the simmering stage so everything is well combined, then remove from the heat. Meanwhile, sieve together the flour, cinnamon, baking powder and salt in a large mixing bowl, then stir in the sugar. Pour the melted chocolate mixture into the dry ingredients and mix well, then add the yoghurt and mix again. Mix together the eggs and vanilla in a jug, then add to the chocolate mixture, along with the chocolate chips and stir well. Pour the batter (this is going to be very runny) into your prepared tins and bake for approximately 55 minutes. To make the glaze, put the icing sugar, cinnamon and 1Tbsp of the milk into a small bowl and mix, adding more milk a little at a time until it’s just pourable, then pour over the cake.